In December of 1801, Matthew Flinders set out with his ship the Investigator to complete a mission of circumnavigating the continent and charting the coastline — a journey which took just over eighteen months. A journey that would hold the joys of discovery and the pain of loss. 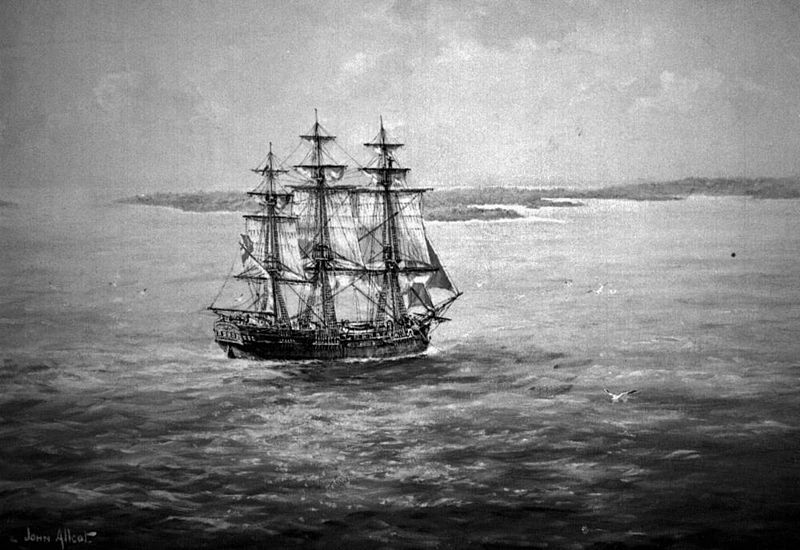 On the Sunday in question, along the South Australian coast, water supplies were running low and Flinders sent a cutter to the mainland with eight of his crew, to find and bring back some water. The cutter was glimpsed on its return journey, but within half and hour had not arrived. A quick search was made, but with fading light, not much could be done. The next morning, a search revealed the shattered remnants of the cutter on the shore, but not one of the men’s bodies were found. A tragic loss for Flinders, as one of them was a good friend, Mr Thistle. After a few days of searching, Flinders went ashore and fixed a copper plaque in memorial and named the place Memory Cove. The point where the wreck occurred, he named Cape Catastrophe, and the surrounding islands were given the names of the lost seamen: Thistle, Taylor, Smith, Lewis, Grindal, Little, Hopkins and Williams. The Investigator’s cutter was the first boat to be a victim of the unpredictable coast of South Australia, and since then there have been at least 800 shipwrecks in the area.